The metamaterial was fabricated in a single steel sheet with laser engravings creating chiral microstructures. It is the first material to be made of a single medium. Sound waves passing through the air, objects that break a body of water and cause ripples, or shockwaves from earthquakes all are considered “elastic” waves. These waves travel at the surface or through a material without causing any permanent changes to the substance’s makeup. Now, engineering researchers at the University of Missouri have developed a material that has the ability to control these waves, creating possible medical, military and commercial applications with the potential to greatly benefit society. In the past, scientists have used a combination of materials such as metal and rubber to effectively ‘bend’ and control waves. Huang and his team designed a material using a single component: steel. The engineered structural material possesses the ability to control the increase of acoustical or elastic waves. Improvements to broadband signals and super-imaging devices also are possibilities. The material was made in a single steel sheet using lasers to engrave “chiral,” or geometric microstructure patterns, which are asymmetrical to their mirror images (see photo). It’s the first such material to be made out of a single medium. Huang and his team intend to introduce elements they can control that will prove its usefulness in many fields and applications. Going forward, Huang said there are numerous possibilities for the material to control elastic waves including super-resolution sensors, acoustic and medical hearing devices, as well as a “superlens” that could significantly advance super-imaging, all thanks to the ability to more directly focus the elastic waves. April 10, 2019 - Software Tool Helps Engineers Build Optical Metamaterials Machine DesignMirage software automates the design of these futuristic materials. April 9, 2019 - Reverse gear makes metamaterial stand out | Research Chemistry WorldPrinted material goes from stiff to soft and back again. 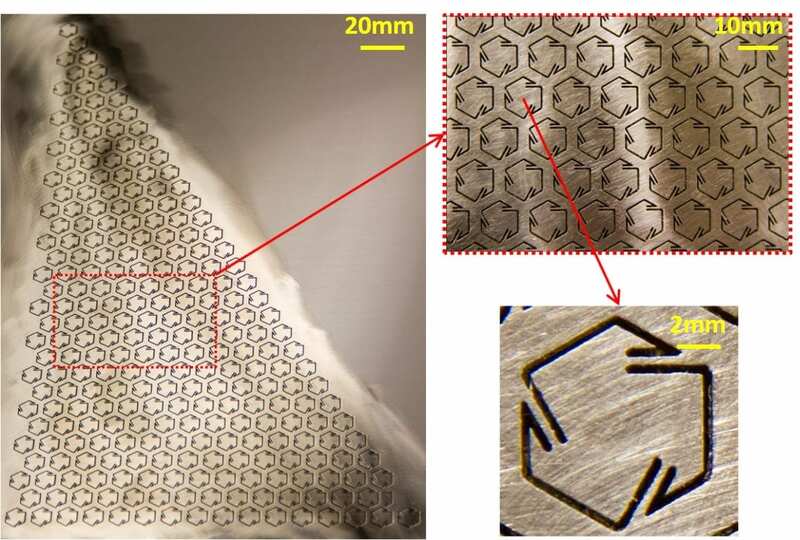 April 8, 2019 - 3D printed metamaterials offer novel optical properties The EngineerEngineers have developed 3D printed metamaterials with microwave or optical properties that are claimed to go beyond conventional materials.